There was a major upset at Alexandra Palace last night as Raymond Van Barneveld was eliminated from the first round. 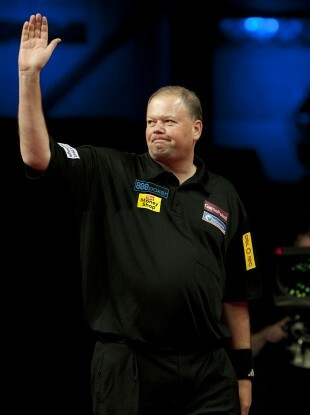 Van Barneveld was heavy favourite to progress past Richardson. RAYMOND VAN BARNEVELD is out of the World Darts Championship after suffering a shock defeat at the hands of James Richardson last night. In what was surely one of the biggest upsets darts has ever witnessed, the five-time world champion failed to progress past the opening round for the very first time in his career. Richardson, ranked 85th in the world and playing in his debut season in the PDC, responded after going two legs behind early on to take the set with a 145 checkout along the way. And despite an 11-darter in the third set, a below-par Barney wasted a couple of opportunities to get himself back into the match, which finished up 3-0. “Speechless…just speechless. I don’t know what to say,” Richardson, who is a bricklayer by trade, told Sky Sports afterwards. Richardson plays Kim Huybrechts after the Belgian knocked out Ireland’s Brendan Dolan, while world number one Phil Taylor will meet Dave Chisnall, who saw off Mark Dudbridge. Email “Bye bye Barney: Dutchman crashes out of the World Darts Championship”. Feedback on “Bye bye Barney: Dutchman crashes out of the World Darts Championship”.